Medium: 1 print (poster) : lithograph, color ; 100 x 68 cm. 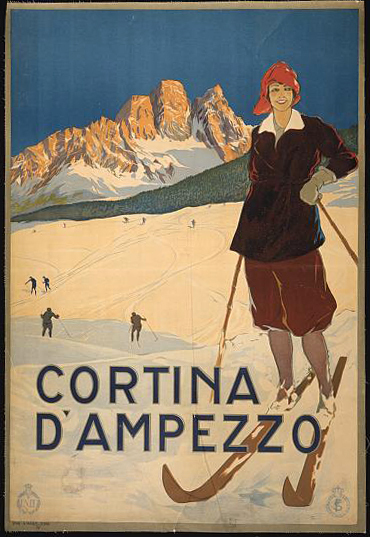 Summary: Poster showing a woman posed on ski slopes at Cortina d'Ampezzo. Ente Nazionale per le Industrie Turistiche.